Cats love them mashed purrtatoes! Let your family know what you're thankful for this year in a fun and cool way. 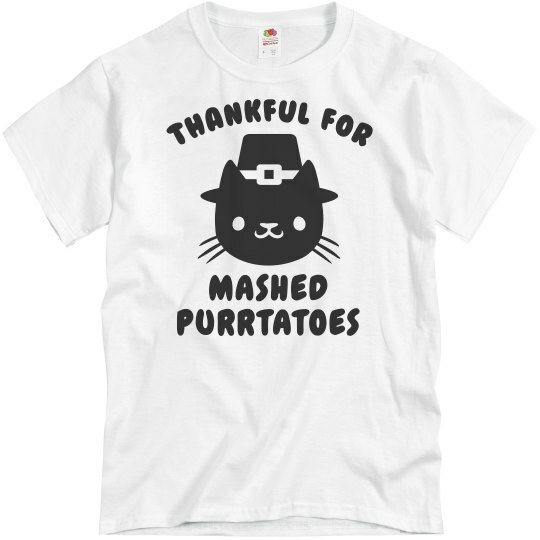 Wear this kitty cat pilgrim shirt while you eat your mashed potatoes.